Make them HOT. Make them COLD. Steep them short or steep them long. Brew the Strong or brew them light. Turn them Upside-down, invert them and it’ll still be sound. Bought mine RM250 three years ago. Now, it is only RM169. I hate messy cleaning up. Brew and clean up in 3 minutes. Small, light and comes with a travelling bag. 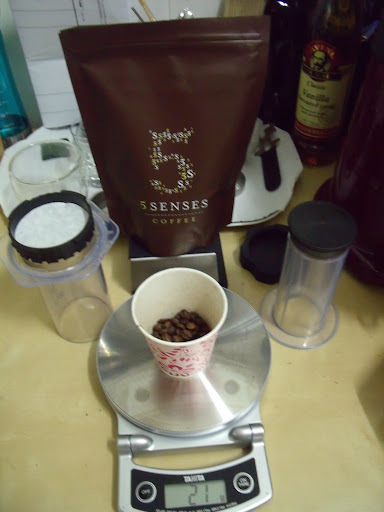 When you have fresh roasted high quality beans, the Aeropress will bring out their potentials. 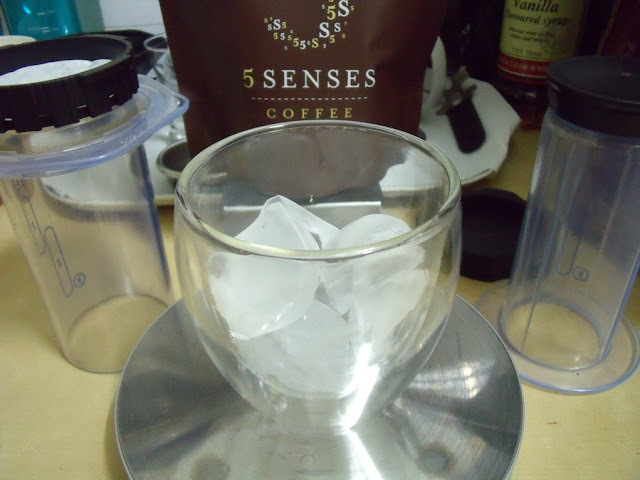 How I make sweet refreshing ICED-COFFEE with the Aeropress? 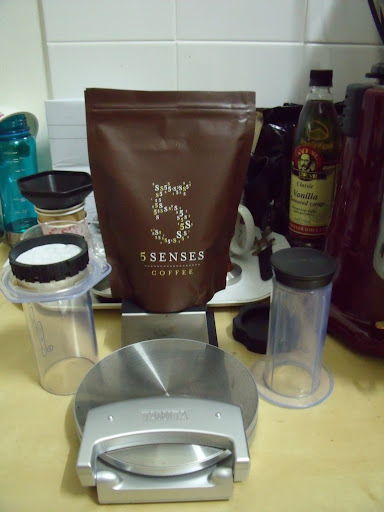 Having good coffee and a digital scale goes a long way towards making delicious coffee. Weight them in. I normally use 14g but this time I use 21g instead. 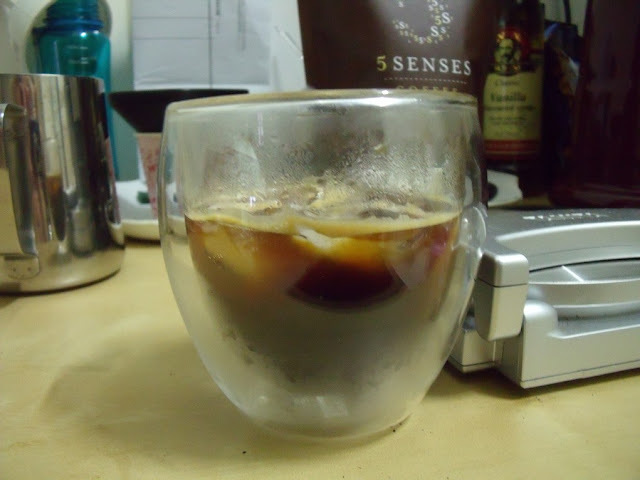 Loved my bodum double-walled 8oz glass. Filled it with ice. 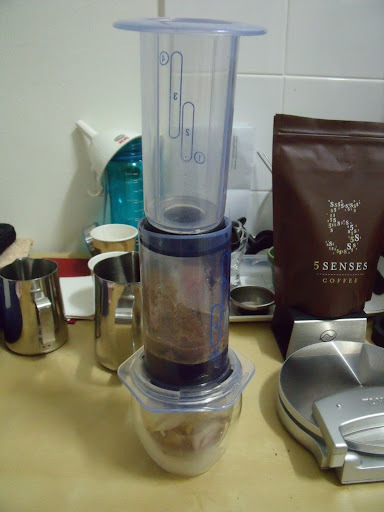 This is the more advanced Inverted Method of using the Aeropress. Put it on the scale and reset to ZERO. Brewed by weight. 105g is approximately 40z of water. Poured in the water (just off the boiled), stirred and screwed back the cap with the filter. Let it steeped for 90 seconds. Then carefully turned it over the glass. 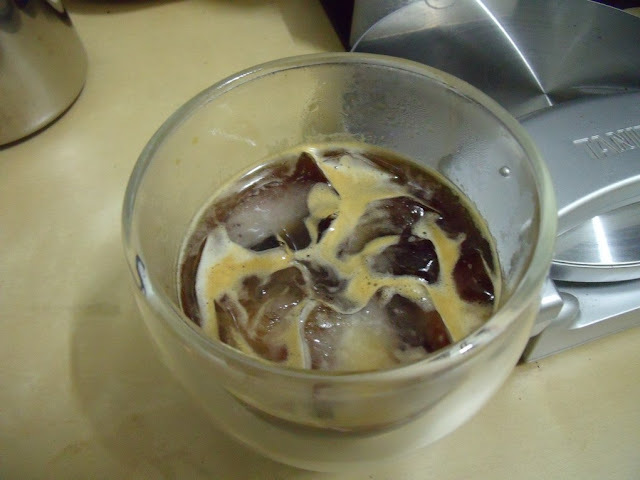 A refreshing, sweet and aromatic iced-coffee using Ethiopia Nekisse. 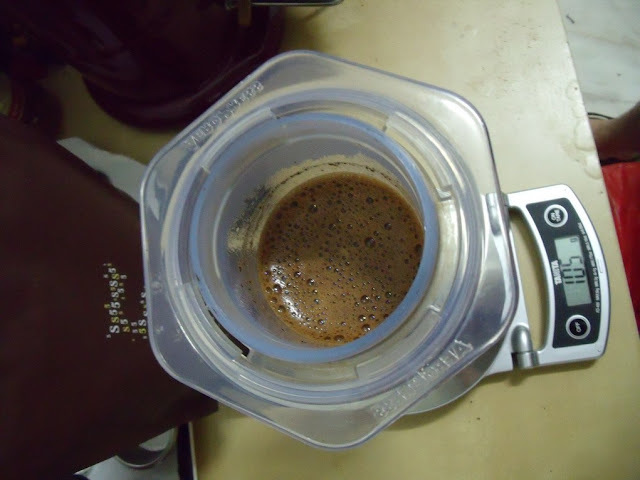 This entry was posted in Aeropress, Coffee on September 28, 2010 by KF Chan. 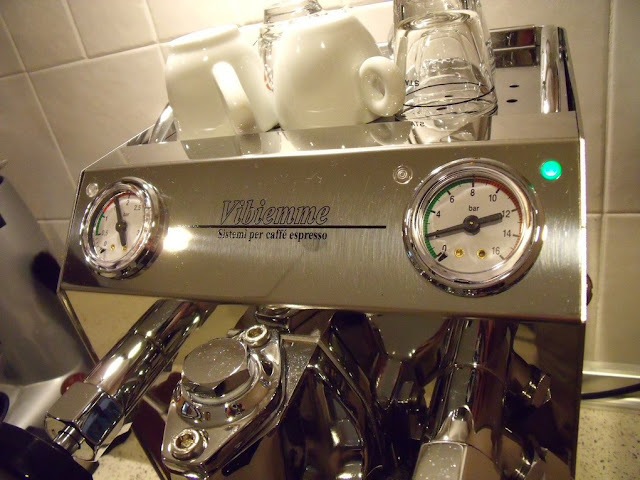 When it comes to making excellent ESPRESSO, it is hard to find any coffee machine in this class that can match the Vibiemme Domobar Junior Double Boiler in Malaysia. Need a mirror? Ladies can do their make facing the side panel. 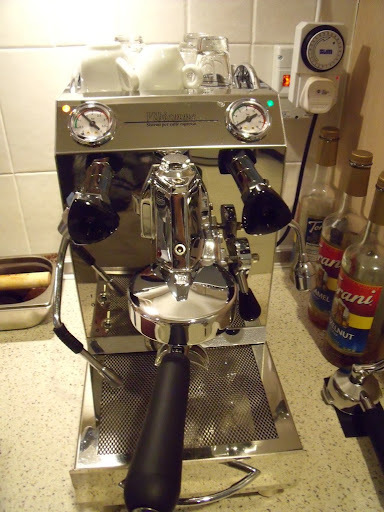 This is a TRUE ESPRESSO Machine. 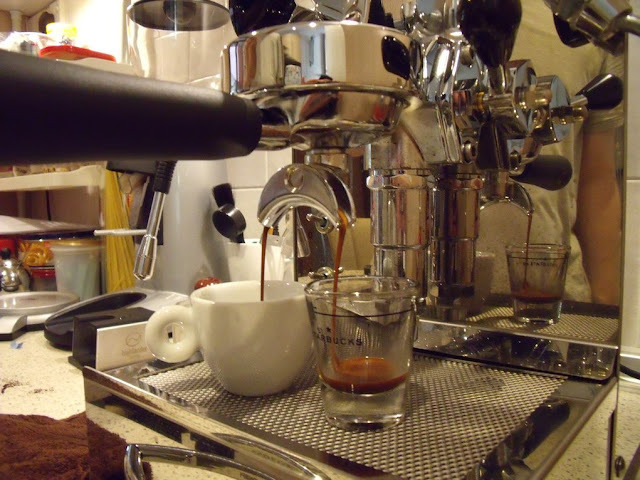 Espressos pulled from this machine are some of the best I have tasted. 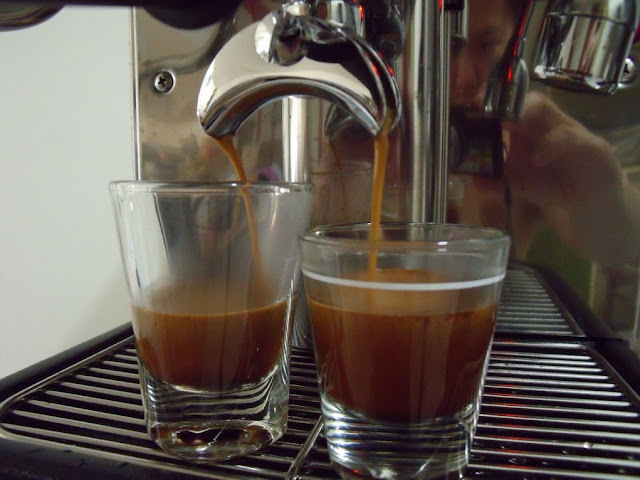 You can brew espresso and steam milk at the same time. Double copper boiler that can operate independent of each other. Exposed Original E61 Group Head. Very consistent temperature stability. 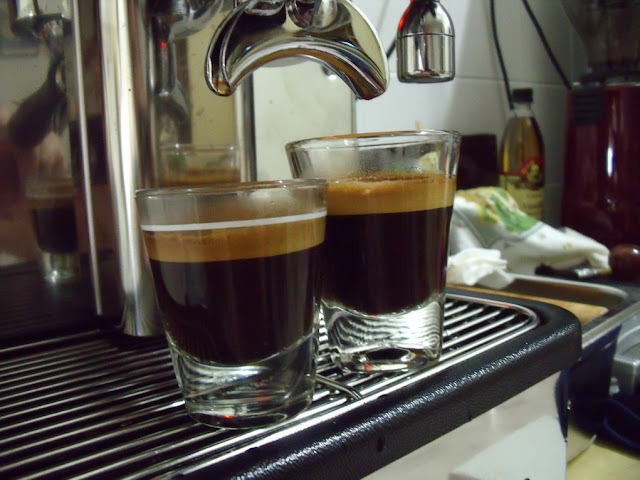 Make real international standards double espresso. Enough water to make more than 50 cups of espresso per filling. Plenty of steam power to make smooth velvety milk. 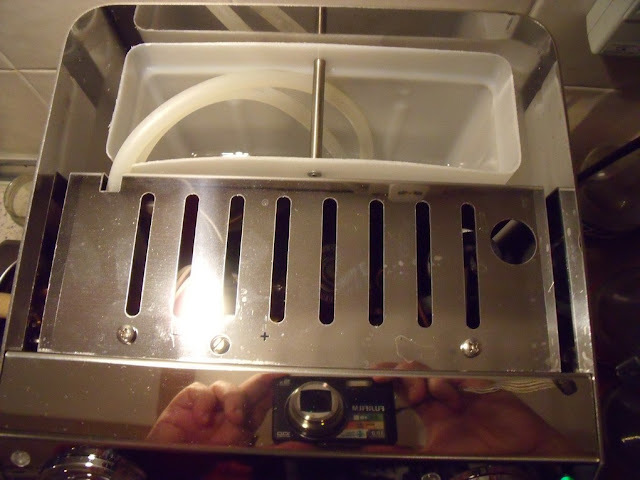 Brewing temperature can be adjusted. 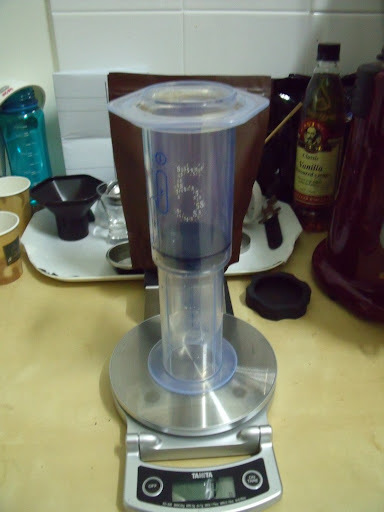 Brewing pressure can be adjusted. Low water level alarm warning. 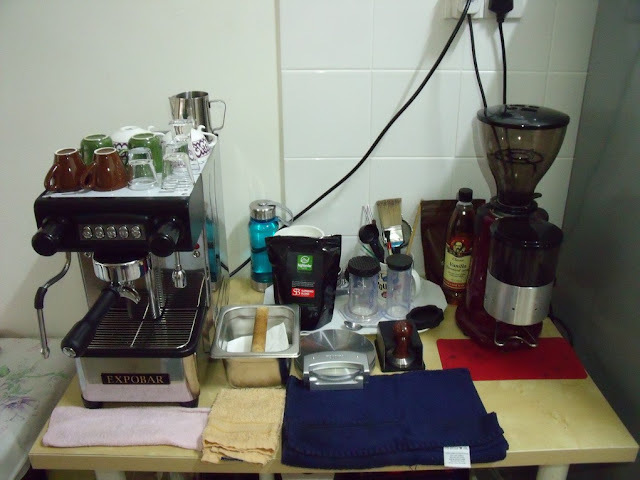 This entry was posted in Coffee, espresso, Espresso Machine, Malaysia and tagged Vibiemme Domobar Junior on September 11, 2010 by KF Chan. 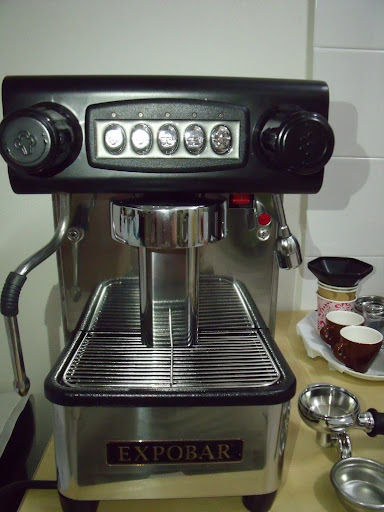 Finally, the Expobar Professional home espresso machine reached Malaysia. 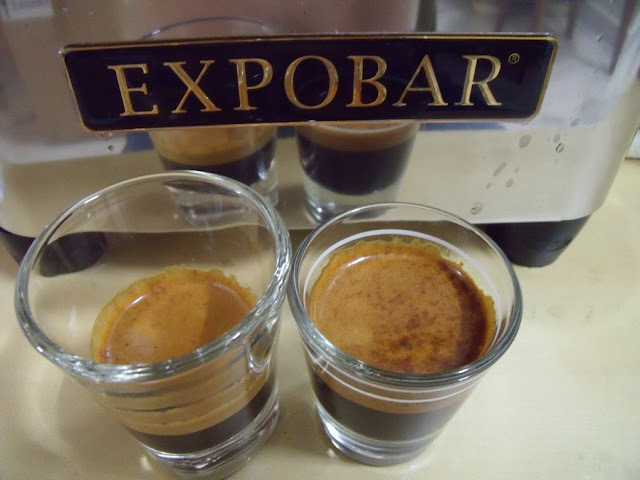 Consistent extraction and temperature stability. Enough water to make 50 cups of espresso per filling. Low water level electronic sensor that auto-fill the boiler. Automatically turn off heater when low water in reservoir is detected. 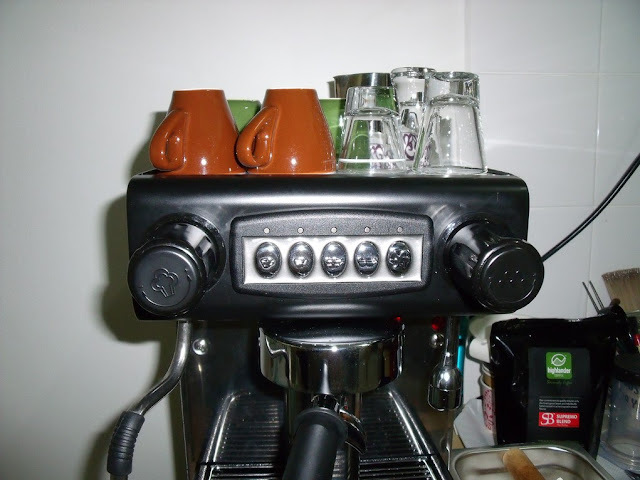 4 volumetric buttons to program the amount of coffee to be extracted. Very suitable for small cafe and beverage kiosk. 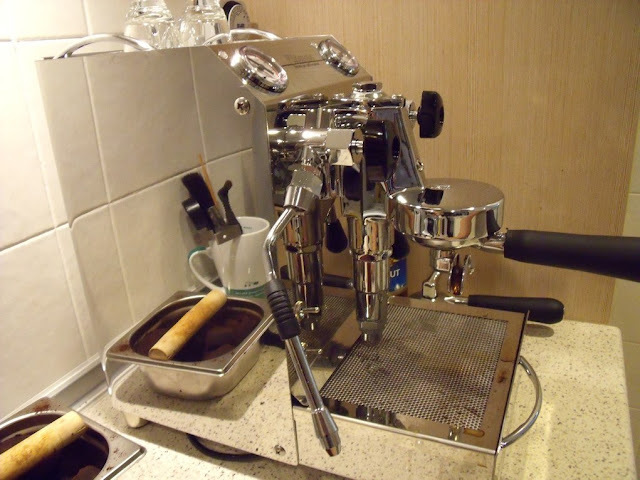 This entry was posted in Cafe, Coffee, espresso, Espresso Machine, Kuala Lumpur, Malaysia and tagged Expobar on September 10, 2010 by KF Chan.